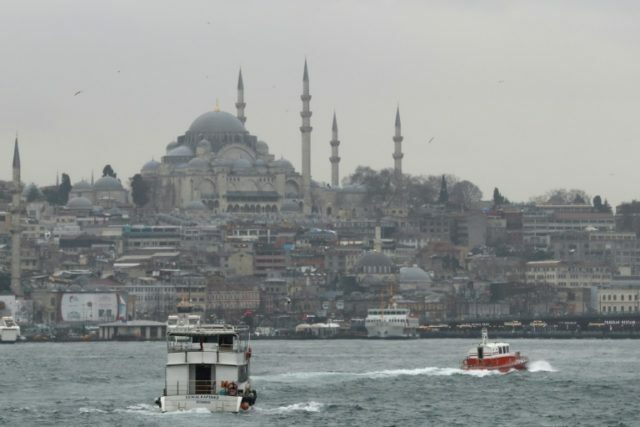 Paris (AFP) – Ratings agency Moody’s downgraded its assessment of Turkey’s ability to pay back its debts further into junk territory, citing concerns over monetary policy, reform delays and institutional strength. Moody’s said in a statement late Wednesday it was cutting Turkey’s sovereign ratings to ‘Ba2’ from ‘Ba1’, with a stable outlook. According to Moody’s, Ba grade ratings are are judged to be speculative and are subject to substantial credit risk. The bonds issued under such ratings are thus judged by investors to be “junk”. Turkey has been seen terror attacks, a failed coup and an unprecedented crackdown since 2016 and Moody’s said the country’s institutions were “faltering” as a consequence. “Faltering institutional strength is reflected in a broad range of adverse outcomes on the economic, financial and political front, despite strong near-term growth rates and healthy public finances,” Moody’s said. It said the crackdown after the failed coup had resulted in an “undermining of the authority of the judiciary”. Moody’s emphasised that inflation was still stuck in the double digits and, while growth remained strong, imbalances in the economy had been on the up. It said while the risk of major financial trouble concerning a reversal in foreign capital inflows and a balance of payments crisis was “low”, it had increased from a year ago. Moody’s also pointed to Turkey’s involvement in Syria, where Ankara in January launched a major offensive against Kurdish militia. Amid the turmoil, Turkey’s relations with key Western partners including the United States and the European Union have worsened in recent years. Moody’s said Turkery’s rating was unlikely to improve on the short run — so long as the country remained vulnerable to external risks.